Comment: Have layers of Tyveck on roof. Have 1 X 6 lap boards on the roof. Need repairs on some exposed rafter tails and 1 X 6 exposed boards. Would like to screw plywood material over existing wood and then roof with shingles. House built about 1927. Nice little Bungalow. Comment: Small roof leak, deteriorating plywood underneath shingles due to heat & age. Comment: Nail up a tarp over a skylight that the roof job turned out horrible on a dome home. Just over skylight that is at the peak of the roof. What would be the best type of tarp that would last the longest. Comment: Tree fell on house. I need a contractor and a roofer. The attic needs some repair and the roof needs repair. Fontenot & Sons Roofers, Inc.
Premier Home Improvement Co., Inc.
Lafayette Roofing Contractors are rated 4.81 out of 5 based on 280 reviews of 19 pros. 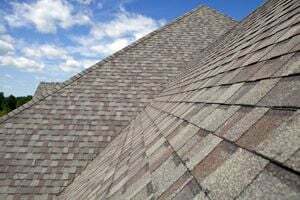 Not Looking for Roofing Contractors in Lafayette, LA?